The competition has been launched to find and recognise the very best apprentices currently working within the UK manufacturing industry. The initiative set up AMI, a web design & marketing agency that specialises in supporting UK manufacturing companies. 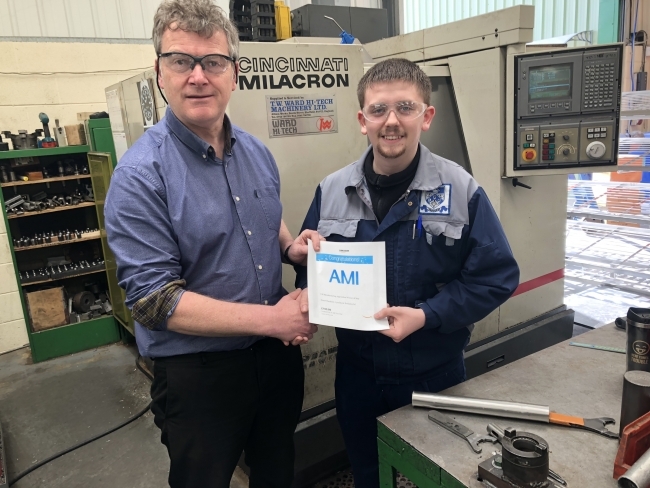 Stuart joined Lyndhurst as an advanced apprentice in engineering having gained a B-Tech level 3 (with distinction) in engineering at his local college. He had already enrolled on HNC in engineering which showed how enthusiastic he was.